Leaving Albania behind, we entered newly independent Montenegro. We hopped on an early morning minibus up the spectacular coast and began to discover the beauty of this tiny nation of less than one million inhabitants. 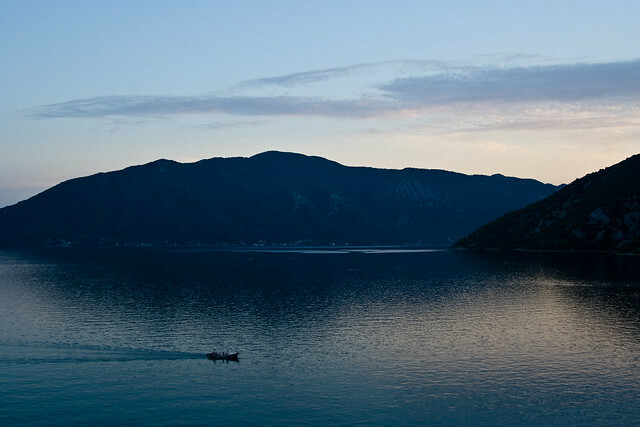 Making a name for itself out of the shadows of its former Yugoslav self, we could tell from first stepping foot in the country that this place was special and home to, perhaps, the most dramatic coastal scenery in all of Europe. Winding through the countryside of southern Montenegro, we sped down narrow streets lined with stone walls and red-roofed villages. Admiring the sea of towering pines backed by pristine mountains, we wound our way down to the coastline, hugging the ribbon of coastal towns overlooking sandy beaches and sapphire blue waters. 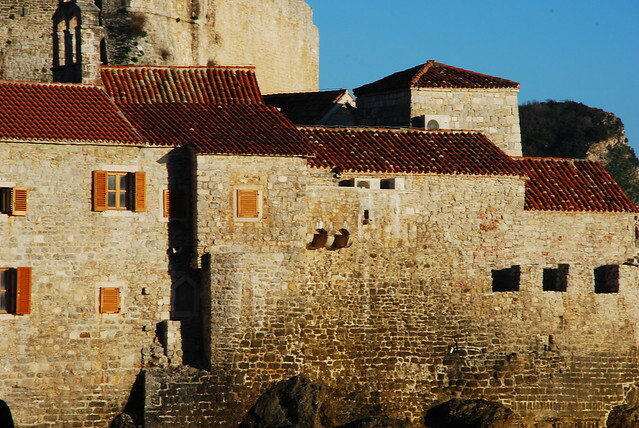 We made a brief stop in the walled-city of Budva, which we discovered was the hub of Montenegrin tourism and not a place we’d want to plant our feet. Budva was crawling, and I mean crawling, with tourists, destroying any ounce of charm the medieval Old Town once had. Goodbye unspoiled beaches, we found a shoreline covered with trampolines, put-put courses and hot dog stands. Clearly time to move on. I was sad to read your opinion of Kotor! 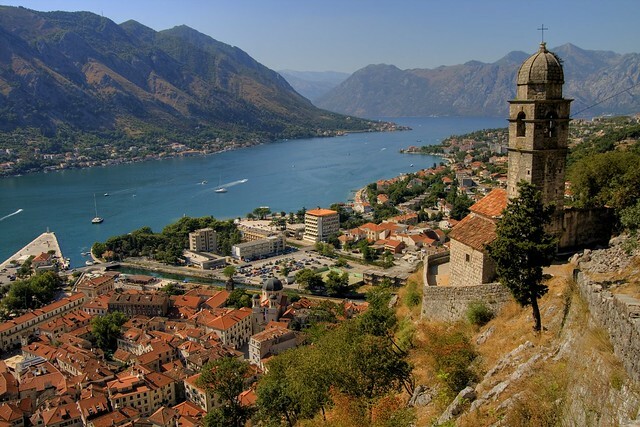 Yes, there are parts which are extremely touristy, but some of my most amazing experiences in Montenegro (of which I had many) took place within that eclectic city. Like many ‘touristy’ destinations, you have to search to find the gems. Give it another chance, it simply takes a second look.